Woodhill is located in the de facto capital of South Africa, Pretoria. 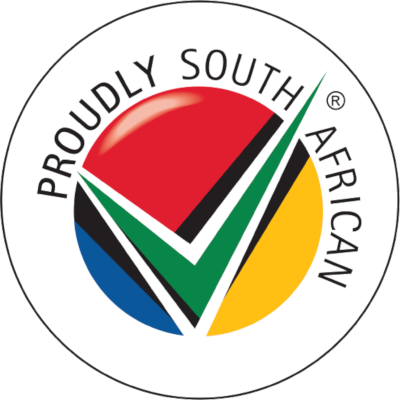 The city is also the second largest one in the province of Gauteng. 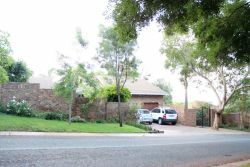 Woodhill is located in the Eastern Suburbs of Pretoria and constitutes a smaller suburb within the Garsfontein area. 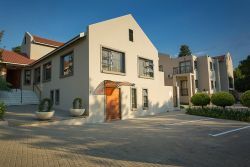 The main attraction in Woodhill is the Woodhill Residential Estate and Golf Club, which is the location of more than one Woodhill accommodation establishment. Woodhill, being situated on the outskirts of the city, boasts a much quieter, tranquil ambience with a much slower pace of life. The air is a little fresher there and birds' chirps can be heard with just that bit more clarity. 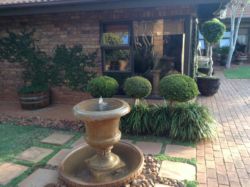 Woodhill is an affluent area, which means it is not only peaceful, but more often than not, aesthetically pleasing too. It is surrounded by coveted areas such as Moreletta Park and Faerie Glen, and is conveniently located in terms of shopping centres like the Woodlands Boulevard Shopping Mall, the business hub of Centurion and protected nature areas like the Rietvlei Nature Reserve. Rietvlei is popular among those who like the outdoors. The dam offers good fishing, there are nice walking paths and there are plenty of birds and mammals to spot. Faerie Glen is also home to a lovely reserve which boasts gorgeous vistas of the distant Waterberg Mountains, as well as a pleasant on-site restaurant. The Woodhill Golf Estate boasts an 18-hole, Peter Matkovich-designed course as well as tennis courts, a driving range and clubhouse where members and visitors alike can kick back and enjoy the view. A quick look at our website will give you the information you need to make your choice. You will find reviews and you will also be able to compare prices and find wonderfully affordable accommodation in Woodhill. Are you planning the perfect getaway but have not yet found your ideal Woodhill accommodation? By using our easy website, you can find great accommodation of all types, whether it is a cosy bed and breakfast or a comfortable lodge. We have thousands of easy to find listings for self-catering facilities, holiday homes, guest houses and hotels as well as backpackers, chalets, caravan facilities, villas and apartments, giving you a wide variety of options when it comes to your accommodation in Woodhill. To help you find the right place to stay, we have a number of tools that you can use, including a map. This will help you to pin point exactly where you will be staying and it will show you the accommodation facilities that are closest to where you will be. Regardless of the reason for your visit to Woodhill, we can guarantee that you will find the type of accommodation you are looking for. But reviews for Woodhill accommodation is not the only information you will find. Want to know if your Woodhill accommodation is pet-friendly or allows smoking? All of that information is included on the listings page. You will also be able to find which activities are on offer and the sort of amenities included with each room. All of this information will help you to make an informed decision before you make any payments to, giving you more peace of mind about your choice. We include all of the contact details of the self-catering accommodation, holiday homes, guest houses and hotels as well as backpackers, chalets, caravan facilities, villas and apartments in Woodhill which are featured on this website, so you also have the option of getting directly in touch with the place. 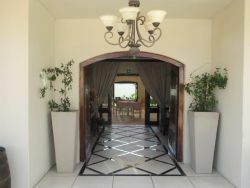 Regardless of where you are staying, we feature Woodhill accommodation in that area of the province. 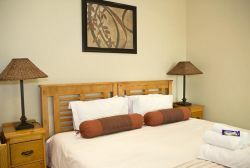 You have options of Woodhill guest houses, lodges and bed and breakfasts, among others, ranging from your more affordable, lower prices to your more luxurious options. So, you are not visiting for a holiday but rather for business and all you need is a place to stay for a night or two? The bed and breakfast options, as well as the lodges, are generally preferred by business people and you will find all types, from your more luxurious lodges to your simple, self-catering bed and breakfast. Each will give you a safe roof over your head while you are in the province. Woodhill accommodation is not only affordable but well situated. If you are doing business in this area, this is a great accommodation choice. Spending more than a few days in the province? Perhaps you are indulging in a tour of the region and you are looking for a few places to stay? 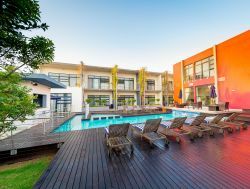 Browsing through our listed self-catering accommodation, holiday homes, guest houses and hotels as well as backpackers, chalets, caravan facilities, villas and apartments in Woodhill will give you all of the information you need to make your selection. And once you have found the ideal place to stay, you can either request a quote or make your booking directly on this website. Sleeping-OUT.co.za is designed to make finding and booking accommodation in Woodhill easier than your traditional methods of sourcing a place to stay! 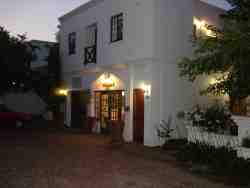 We include some great accommodation special deals in and around Woodhill. 1 reviews of Woodhill Accommodation.